Air support will be provided from the carrier USS “Harry S. Truman” when soldiers will train at shooting ranges in Troms. Shootings and aviation activities are expected in the period from October 17th to November 6th, the municipality of Bardu informs on its portal. The municipality is home to Setermoen military camp where U.S. Marines and Sailors from 3rd Battalion, 8th Marine Regiment were deployed two weeks ago as part of the Marine Corps rotational presence in Northern Norway. Some 700 Marines will be in Norway on rotational presence to get cold climate training. The exercise in the north, named Northern Screen, is said not to be a part of Trident Juncture, NATO’s large-scale exercise in the southwestern and middle part of Norway kicking off on October 25th and lasting till November 7th. There will also be some Norwegian soldiers participating in exercise Northern Screen, which will use the shooting ranges at Setermoen, Norway’s TV2 reports on Monday. Local newspaper Fremover reports that the exercise will include air support from the carrier USS “Harry S. Truman” currently sailing north. Press spokesman Lt. Col. Ivar Moen with Norway’s Joint Head Quarters declines to comment on any planned route the huge American aircraft carrier will sail when asked by the Barents Observer about possible voyage to the waters outside Troms. Providing air support to soldiers on exercise in Troms would most likely mean that the American aircraft carrier would sail off the coast of Nordland or Troms in the Norwegian Ocean. That is north of the areas where Trident Juncture takes place. Speaking at a press-conferance about Trident Juncture exercise on Monday, Commander of Allied Joint Force Command in Naples, Admiral James Foggo, confirmed the participation of USS “Harry S. Truman” in NATO’s upcoming Trident Juncture. “Today it is my privilege to announce that the aircraft carrier USS “Harry S. Truman” and its strike group, including its ships and aircraft, will participate in Trident Juncture, adding about 6000 personnel to the mix,” Admiral Foggo said according to the transcripts from the press-conference posted by NATO. It is not publicly known if the carrier will support both exercises, the Northern Screen and Trident Juncture, at the same time or if the support to the US Marines in Troms will come to an end before Trident Juncture kicks off on October 25th. 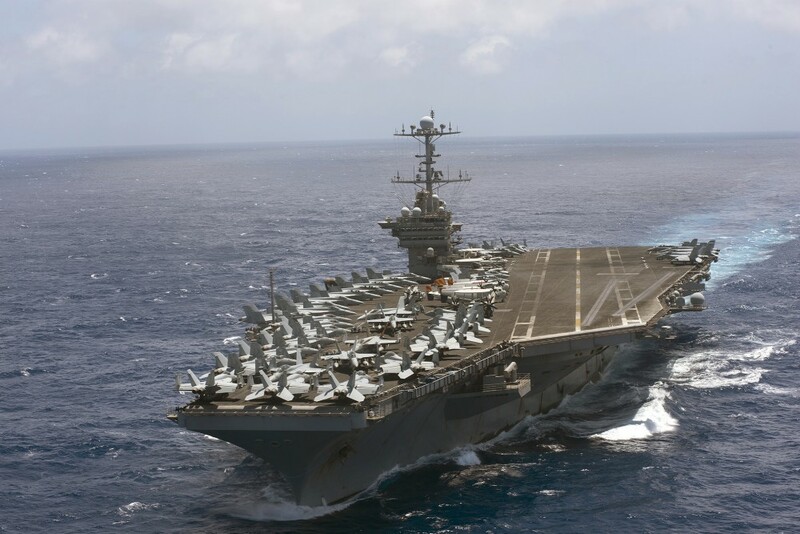 USS “Harry S. Truman” is of the Nimitz-class, the largest nuclear-powered aircraft carriers in the U.S. Navy. The ship has 90 planes and helicopters and a crew of about 5,000 people. Last time an American aircraft carrier participated in a NATO exercise in Norway was back in 1989.